Canada’s Sandro Perri is currently on tour with perennial indie favorite Andrew Bird, the two played the Tarrytown Music Hall on October 2, 2008 and last night Sandro had his own headlining show at Le Poisson Rouge (which I only forgot to mention here because I thought it was happening tomorrow). 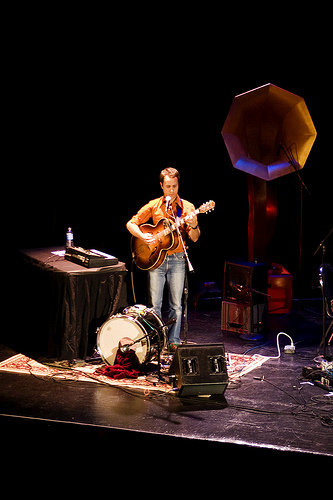 For those of you who missed the shows at LPR or Tarrytown Music Hall, the good news is that the dynamic duo are back on the same bill again tonight (October 6) at The Hiro Ballroom where Andrew plays the first gig of his two night NYC stand (three shows if you count Barack Rock). Tickets are sold out, but you never know what can happen at the door, if you are already going, make sure you get there in time for Sandro’s set, I believe he will go on at 8:30 PM. 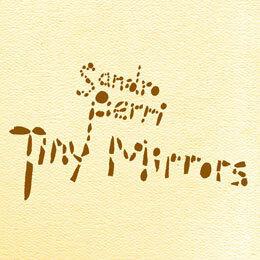 I can also highly recommend Sandro’s last album, the improvisational Tiny Mirrors, which made the long list for the 2008 Polaris Music Prize. In other Sandro news, he’s got an upcoming 7″ split with Tony Dekker (of the Great Lake Swimmers) which will be released in the near future through Weewerk Records in Canada. Stream some of Sandro Perri’s music here. More Sandro Perri tour dates after the jump.